A heart is used to symbolize the emotion of love. Humans have long associated the feeling of love with their heart. The organ used to pump blood around the body. The symbol for Valentine's Day is a heart. 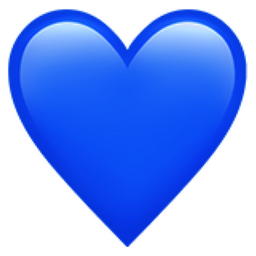 A blue heart can symbolize a deep and stable love. Trust, harmony, peace and loyalty.